Good morning my lovelies. Another beautiful day in San Miguel. Thought you might like to see the last painting in "The Owl and the Pussycat" series. "And they took Honey and Plenty of Money"
This painting is sold as well. Coming to Canada with me to be shipped down east. Short post this morning. Thanks for dropping by. 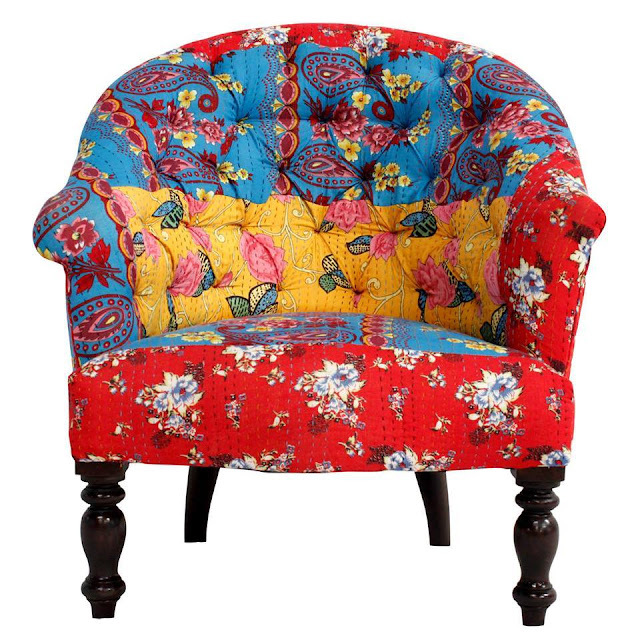 By the way ... isn't this chair gorgeous? WANT! Okay THIS is my favorite in the series. 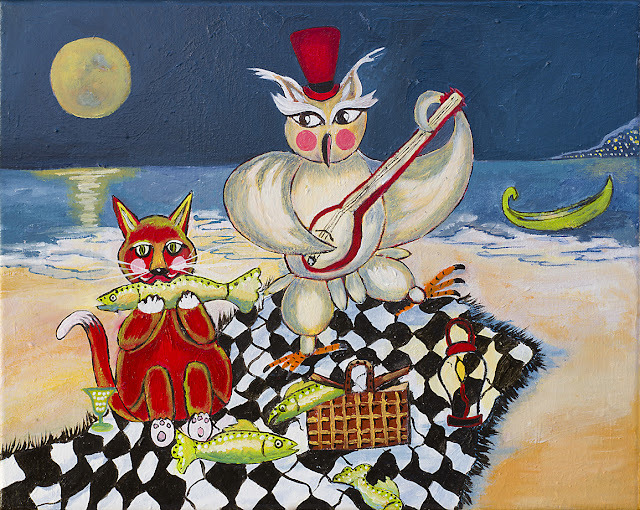 I love that cat munching on the fish. What a beautiful quote -- quite lovely and endearing. I am sure he was very special and will remain so in your heart. Yes, a favorite painting of mine too. The chair would work in your casa but be way out of place in mine. It belongs in a bright and colorful environment. Our home is more subdued; some would call it boring but it is peaceful and home to me. We have a Boise State vs Colorado football this weekend and a friend and I will be attending the annual "Art Studio" tour on Saturday. It is fun to visit the different studios and view their art and their in and outs to create. More yard work today for me. Hope your day is enjoyable, Donna.